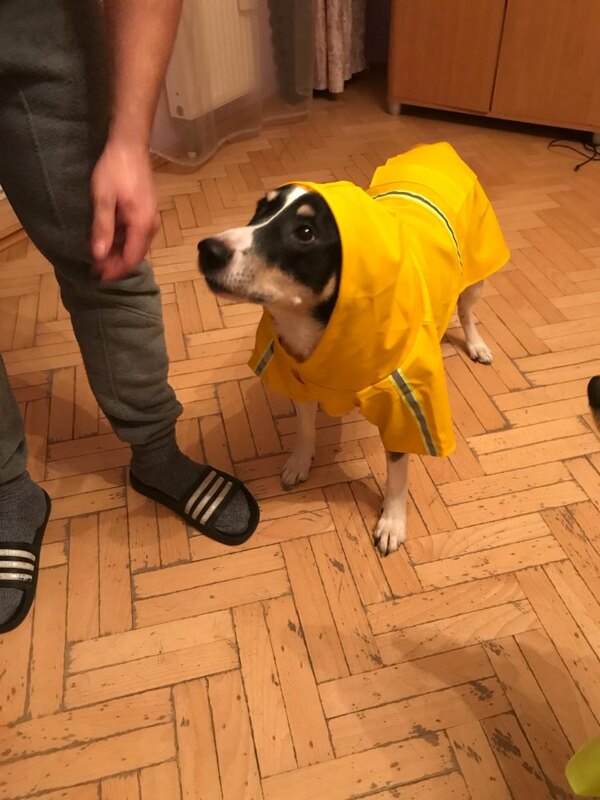 Tut, tut, it looks like rain. 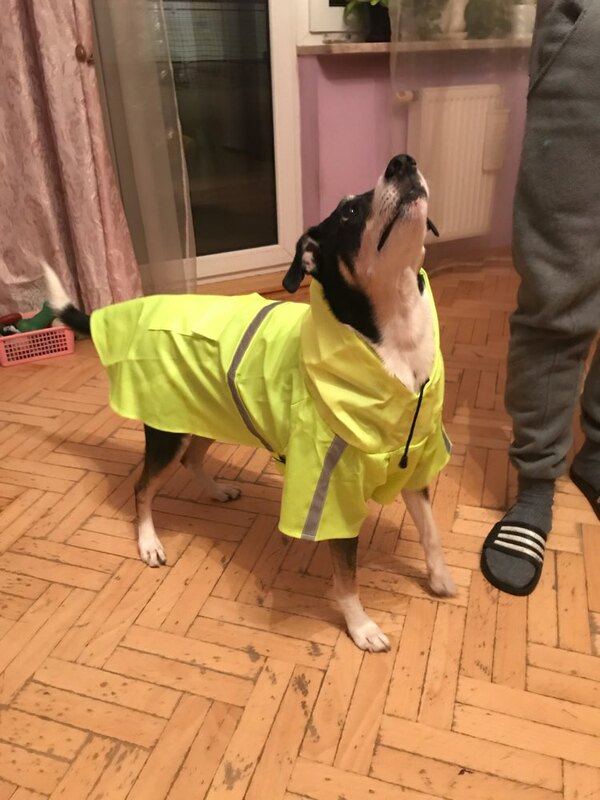 But with the Drizzle Dog Reflective Dog Raincoat, no showers will stop your dog's outdoor adventuring! 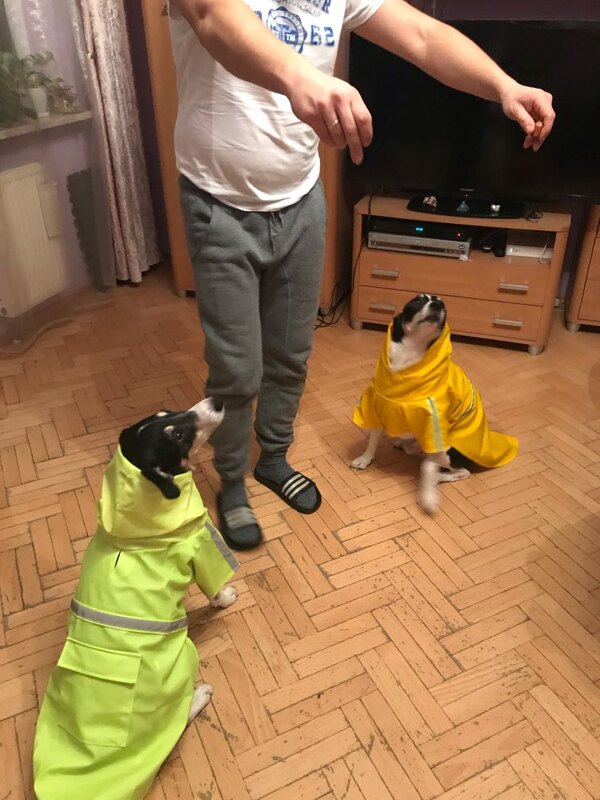 This pet raincoat is made out of thin waterproof polyester material and features reflective trim around the waist and on the legs for better visibility when walking outside in those dark drizzles. 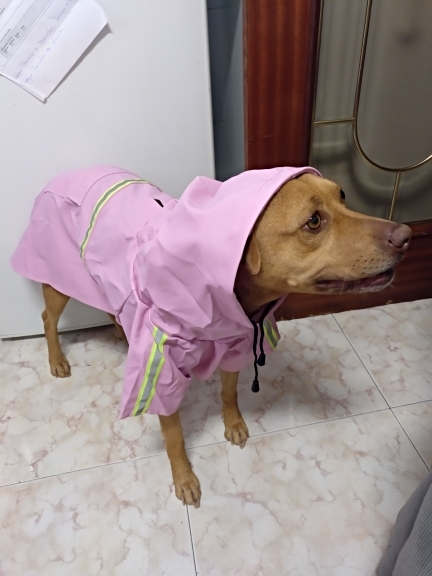 Velcro straps mean that this rain jacket is a cinch to take on and off, and the drawstring hood allows you to securely protect your precious pooch's head from raindrops. 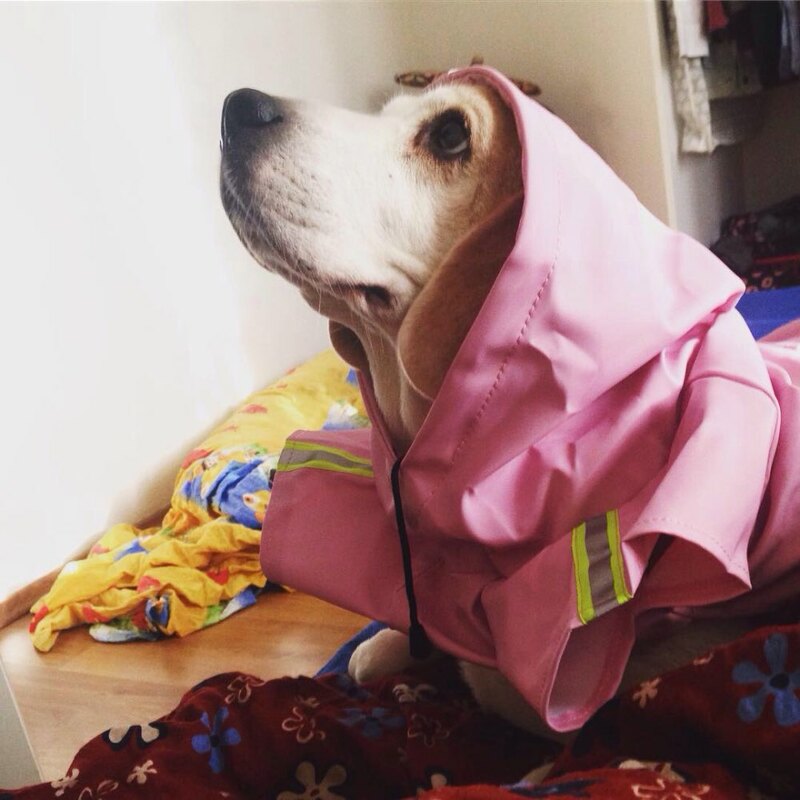 But it gets better - this jacket also has a handy pocket for storing treats, potty bags, or other canine gear. 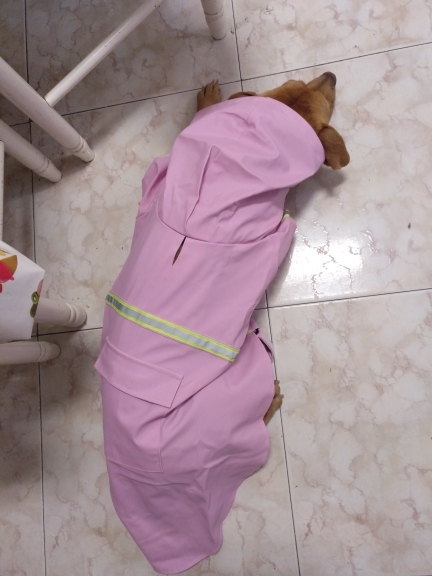 Plus, there's even an elastic leg loop in the back to secure the tail end of the coat to your dog and stop it from blowing up in a breeze. 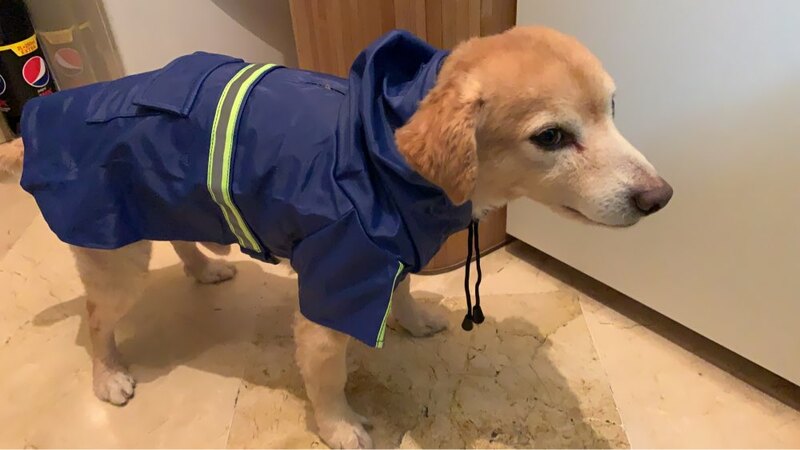 If your dog is a picky potty pup who won't go in the rain, this coat is perfect for quick trips out for a bathroom break or for a stroll on the sidewalk. SHIPPING NOTE: We can offer great deals on our products and free shipping due in part to a longer shipping process - note that this item can take 2-3 weeks for delivery, although it often arrives sooner! 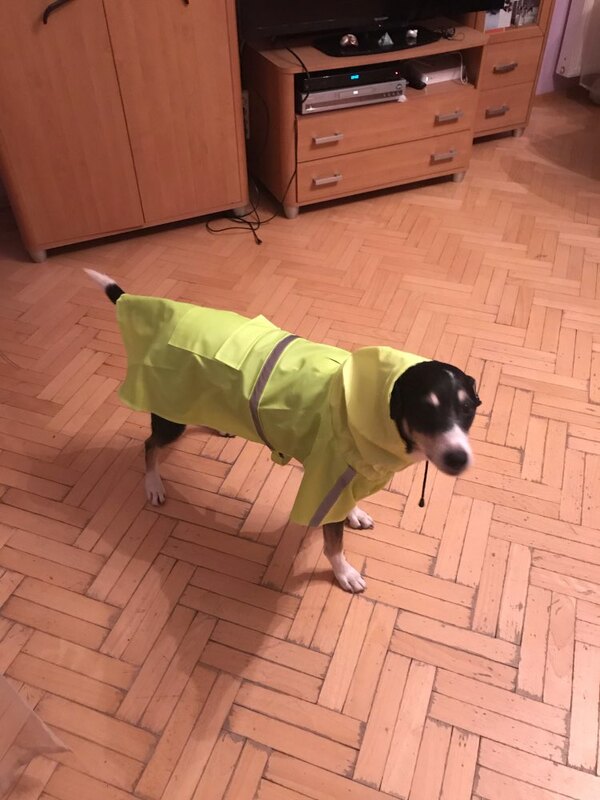 8 different sizes, suitable for all dogs! Super!! 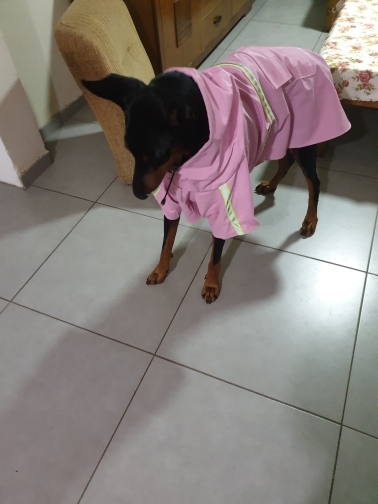 My girl weighs 15 kg and we got the size XXXL - it's a tad larger than I thought, but works fine. Very happy! 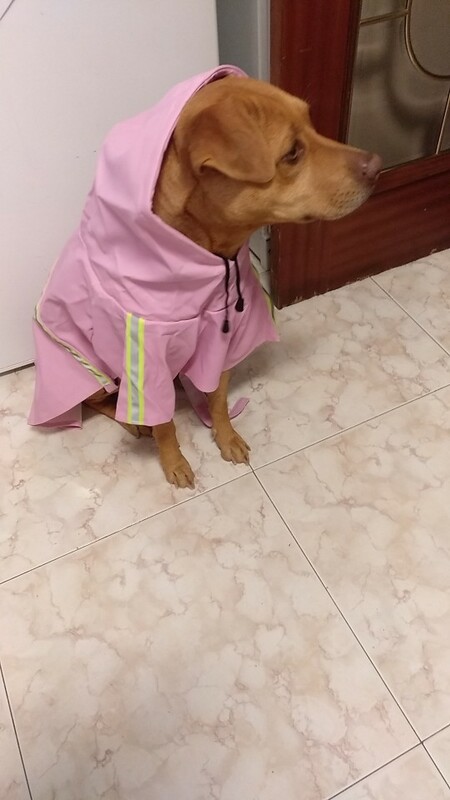 I believe the measurement is accurate, but our dog is just too fat and I actually did not measure the dog, so it doesn't fit well. 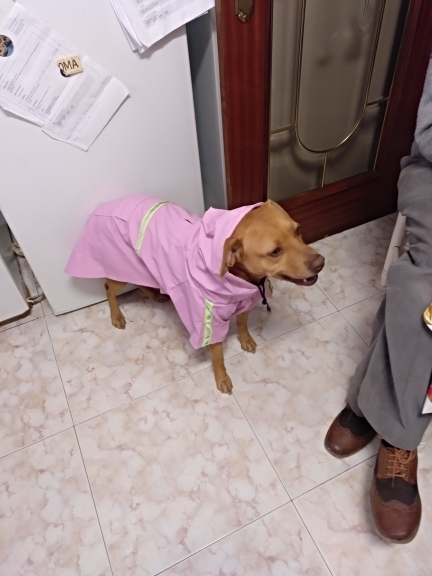 Overall the item is really good, I really like the material, so I still recommend it even though our sizing didn't work out. Make sure to measure people! Very good quality, good sizing info, I chose 3xl and it fits perfectly. Item exactly as pictured. 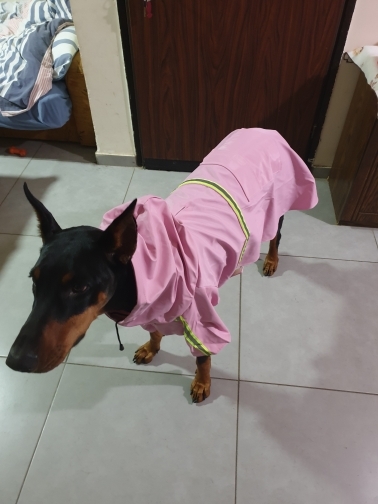 Got size 7xl for my Doberman and it fits great. Perfect, very nice quality , no doubt a great purchase.